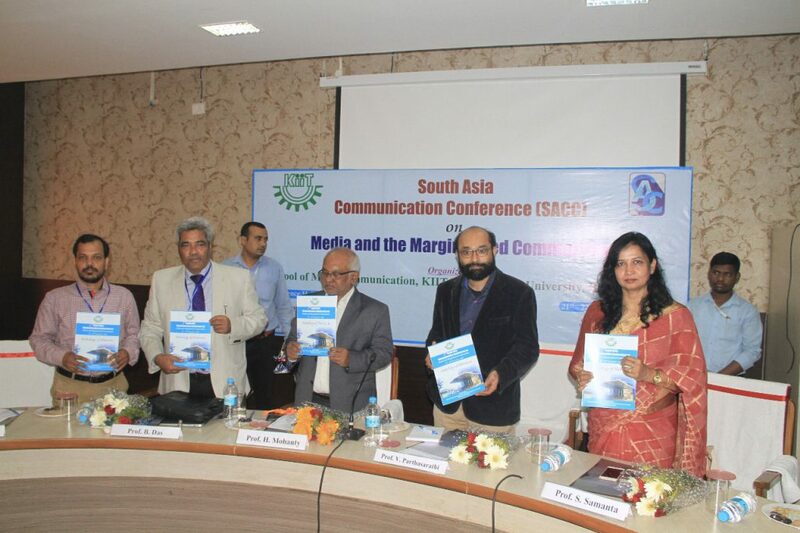 A two-day South Asia Communication Conference (SACC), organized by the School of Mass Communication where delegates from India, Bangladesh and Nepal participated, was held at the Conference Hall-8 of KIIT Deemed to be University during December 21 and 22, 2018. 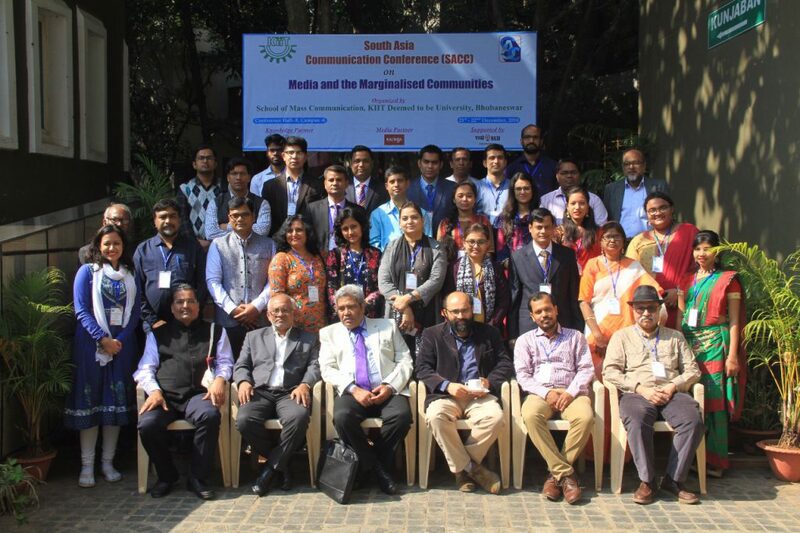 The theme of the conference was ‘Media and the Marginalised Communities’. 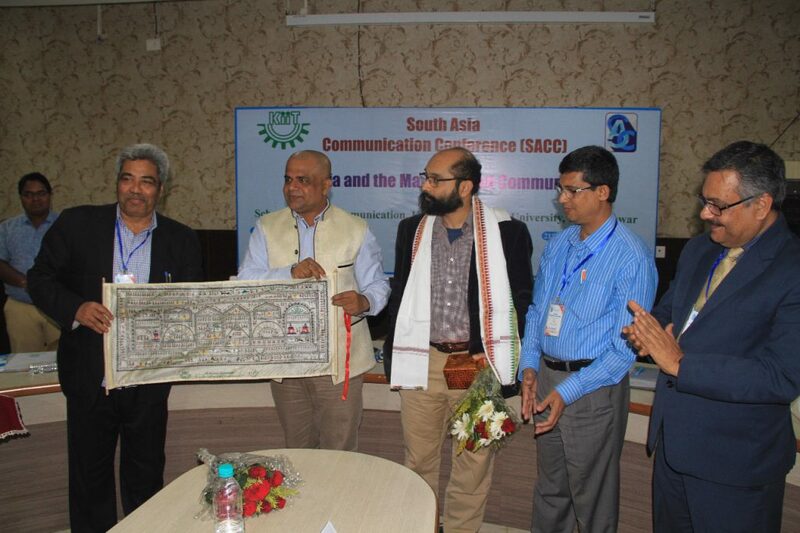 The inaugural function of the first edition of SACC was graced by Prof Biswajit Das, President, All India Communication and Media Association (AICMA), Prof Hrushikesha Mohanty, Vice-Chancellor, KIIT Deemed to be University, Dr Sasmita Samanta, Registrar, KIIT Deemed to be University, Prof Vibodh Parathsarthi, Associate Professor, Centre for Culture Media & Governance, Jamia Millia Islamia, Prof Himansu Sekhar Khatua, CEO of School of Mass Communication, School of Fashion Technology and School of Film and Media Sciences, Dr Bidu Bhusan Dash, Course Coordinator, KIIT School of Mass Communication and Convener of the conference. 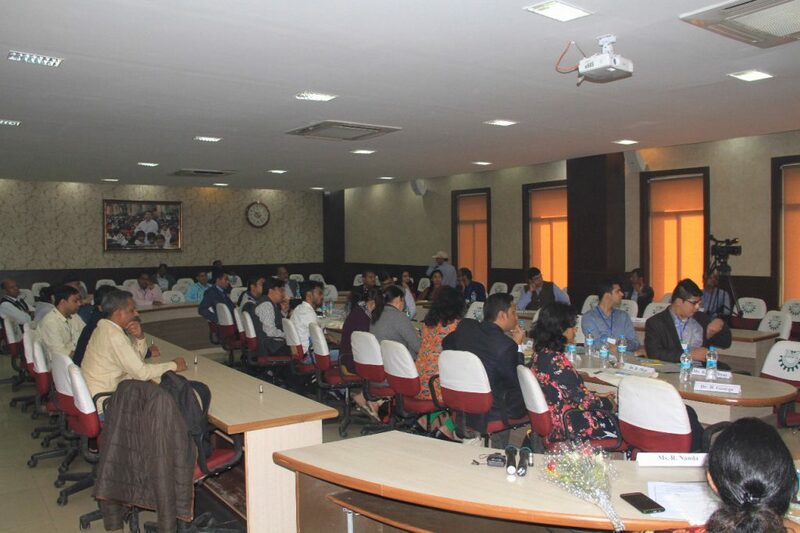 Conference organisers Ms Ruby Nanda, Faculty Associate, KIIT School of Mass Communication and Mr Sudarshan Sahoo, Faculty Associate, KIIT School of Mass Communication were also present. Prof Biswajit Das delivered the inaugural address. He appreciated the commitment of Dr Achyuta Samanta, honourable founder of KIIT and KISS for providing quality education. Prof Das urged in his inaugural address, “There is a need for documentation and materials related to other countries in South Asia. There is a lack of organized platform for understanding South Asia beyond political and defence strategies”. Congratulating the School of Mass Communication for the initiative, he expressed his hope that KIIT Deemed to be University will take a lead in this area. In the same line, Prof Hrushikesha Mohanty, Vice-Chancellor of KIIT Deemed to be University said that there is a need for a repository of knowledge of South Asia. Congratulating the School of Mass Communication for its effort in organizing the conference, he said that this will also be a great learning experience for the young faculty members of the school. He called for the South Asia Communication Conference to be an annual event of the school. Extending a warm welcome to the delegates from across the South Asian countries, Dr Sasmita Samanta, Registrar, KIIT Deemed to be University, talked about her own journey in the university. Speaking about the spectacular heights that KIIT has touched in its journey during the short span of 20 years, she said, “Everyday in KIIT, we come here thinking that history will be created today.” Besides, Dr Samanta also conveyed that KIIT Deemed to be University is in race for the ‘Institutions of Eminence’ tag by the Central Government. Eminent media academician Prof Vibodh Parathsarthi, Associate Professor, Centre for Culture Media & Governance, Jamia Millia Islamia, New Delhi, the keynote speaker of the conference, talked about how India played a dominant role in the knowledge platform in South Asia. He spoke on ‘Anxiety amidst Abundance: A Plea for Media Diversity’ in his key note address. He stressed on the need for further study on media diversity and made several deliberations to support his views. Delegates from India, Bangladesh and Nepal were present in the Conference. As many as 21 researchers from the three countries presented their research findings and discussions in six thematic sessions spanning over two days. On the valedictory session, Prof Biswajit Das suggested that KIIT should take the lead and start a South Asian Communication Centre. He went on describing that the centre should give emphasis on six parameters like networking, archiving, interdisciplinary dialogue, new methodology, fellowship and publication plans. Subsequently, Prof H S Khatua, CEO of the school also accepted the proposal and assured to incorporate the suggestions as soon as possible. “KIIT School of Mass Communication will set up a Centre for South Asia Communication and will open a website within one year”, announced Prof H S Khatua. He also shared the plan of publishing a research journal from the conference proceedings and sought suggestions from the delegates. The guest of honour, Prof. Mohammad Sahid Ullah, Professor, University of Chittagong, Bangladesh, quoting Dr Achyuta Samanta, said that such a humble and great man is an inspiration for all. Meanwhile Prof Mrinal Chatterjee, Centre Director, IIMC Dhenkanal mentioned the proposal of South Asia Communication Centre a welcome step. AICMA was the knowledge partner of the Conference, while Kalinga TV was the media partner. The Conference was supported by NALCO. Previously, the School of Mass Communication had organized the National Conference on Communication for Social Change, Development and Empowerment in Rural India on 4-5 December 2017 jointly by the KIIT School of Rural Management (KSRM) and School of Mass Communication, KIIT University, Bhubaneswar and supported by UNICEF India.